The organization of events is part of TTB’s work since its beginning, as a necessary complement of our aesthetic-expressive development. It’s the expression of a cultural policy, sort of a “secular arm” of artistic research: it’s about creating a network that’s alternative to the official one, find and identify a new audience, in order to create a working ecosystem and a reference community. In this field TTB’s work divides into two constants: one for the organization of events with particular regard to outdoor theatre, the other for theatrical culture activities such as stage, conferences, seminars.  1977: Invito alla Festa – Atelier Internazionale sul teatro di Gruppo (promoted by the Institut International du Théâtre, a UNESCO division, in collaboration with Azienda Autonoma di Turismo di Bergamo) 28 August/6 September, 42 participating groups from 30 countries.